Hoorn is a municipality and also a city in North Holland. Hoorn is a smallish city with a population of just over 70,000 people, although much of the area that the city encompasses is actually made up of water. The Municipality comprises, Zwaag, Hoorn, De Hulk and Bangert. Hoorn has very good links to the rest of The Netherlands as it is only 35km away from Amsterdam. 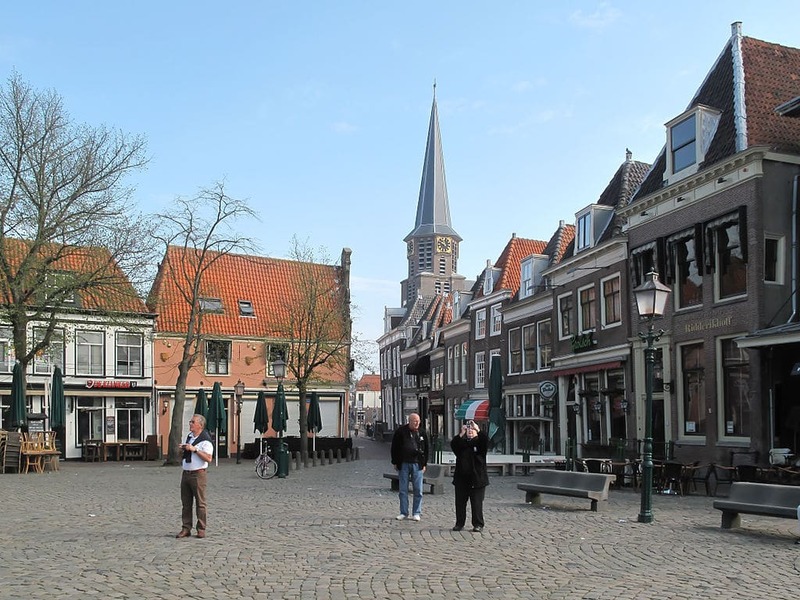 Hoorn was founded in the early 8th century and soon became a centre of trade for the area, due to its excellent port and good links with other trading centres and nations. The town continued to grow and to make its way by trade and other seafaring means and must have grown quite substantially as in the mid 1300’s, the Count of Holland accepted a payment from Hoorn so that it could become a city. In the centuries after this, ships that sailed from Hoorn traded all over the world, Bringing back new and valuable commodities such as spices, from places such as Indonesia. Not all of their trading was done on an equal footing with the locals and captains such as Jans Pitersoen Coen who founded the capital city of Indonesia, now called Jakarta, acquired a reputation for violence among the locals during his voyages at the beginning of the 1600’s. In 1618 another Hoorn seafarer ,Willem Ysbrandtsz Bontekoe, rounded the southernmost tip of South America going through massive storms and huge seas and named it Kaap Hoorn, or Cape Horn, in honor of his city home. After this enduring period of prosperity Hoorn went downhill and the city turned, once again, to its original profession of fishing to keep the economy going. But after the war with Napoleon, the city began to prosper again, but through trade on the land, rather than the sea. A market mainly in dairy produce started and took off well and eventually became the main source of income for many traders in the town. This only increased when the railway came to Hoorn in the mid 1800’s, along with the building of proper roads in the and around the area which facilitated even better trade links with the local region. In the beginning of the 1930’s the Dyke that went around the port was finished and this ended the areas connection with the sea. When the 2nd World war Was over, the city began to diversify and started a huge horticulture industry. Twenty years later Hoorn was to be incorporated in the plan to house some of the many workers in Amsterdam as the capital was growing at a huge rate. Due to it’s close proximity to the capital it promised the workers a better lifestyle, rather than a cramped city flat, along with an easy commute to Amsterdam. If you are flying in to Hoorn, then you should arrive at Amsterdam Schiphol Airport. Schiphol is one of the largest airports in Europe and you can get direct flights or connections to there from virtually anywhere in the world. 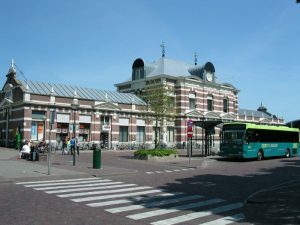 The airport has it’s own train station and you can get a train direct to Hoorn from there, that usually takes about three quarters of an hour. If you are driving, you can hire a car easily at the airport and travel direct to Hoorn on the A7. if you are going to be traveling around Hoorn and Amsterdam then a car is probably not the best way to go, as there can be a lot of congestion and a lot of parking is reserved for residents and other parking can be very expensive. 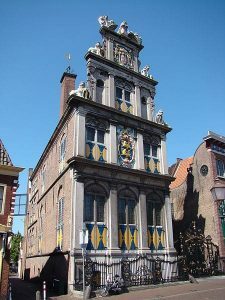 The West Frisian Museum is a museum which tells the story of the area during the “Golden Age” of the towns history. This was when it’s trading was bringing a great deal of wealth and fortune to the city. There are 27 rooms and each of them tells a different part of the story. The museum is in one of the most picturesque buildings in the city, The States Collage. There is usually an exhibition running on related subjects of the time. The Noorderkerk is a beautiful old church that was built in 1426. The building has been added to over the years but still retains much of it’s original charm. The shopping center of Hoorn is a real shoppers paradise, where you can find all of the shops that you would expect to find in a Dutch town as well as, many independent boutiques, original gift shops, some fascinating antique stores, as well as some really interesting craft shops. In addition, the shopping center also has a market with a wide range of stalls every Saturday. De Hoornse Kogge is an interesting restaurant serving a mixture of French, Dutch and Belgium food. They also have a good set price menu with a large number of different foods to choose from . Also friendly staff and good service. Bommels is a nicely furnished restaurant that serves a wide range of Mediterranean food. Good food in a nice informal atmosphere. Usually busy at any time of the year, so it is a good idea to book in advance. Hoorn is a beautiful small town in easy reach of central Amsterdam for a day trip, but there is so much to see that it is worth a holiday on it’s own.